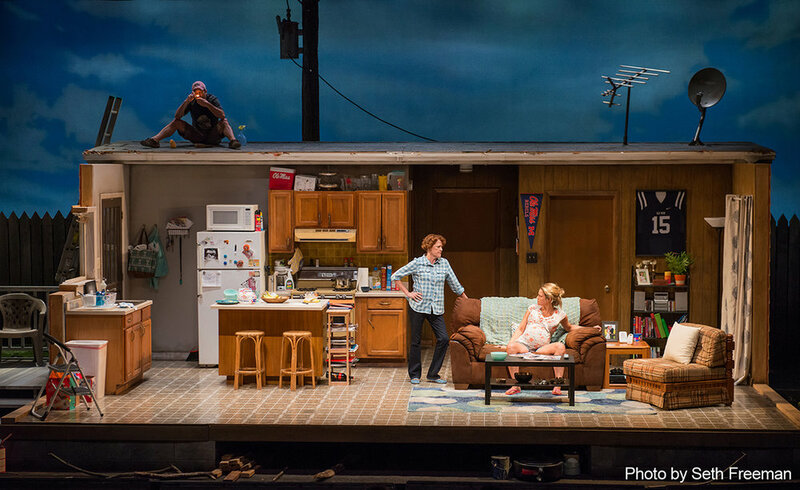 "David M. Barber continues his run as a designer of amazingly detailed sets, with the two-bedroom house on a concrete pad that Jim and Laurel call home." 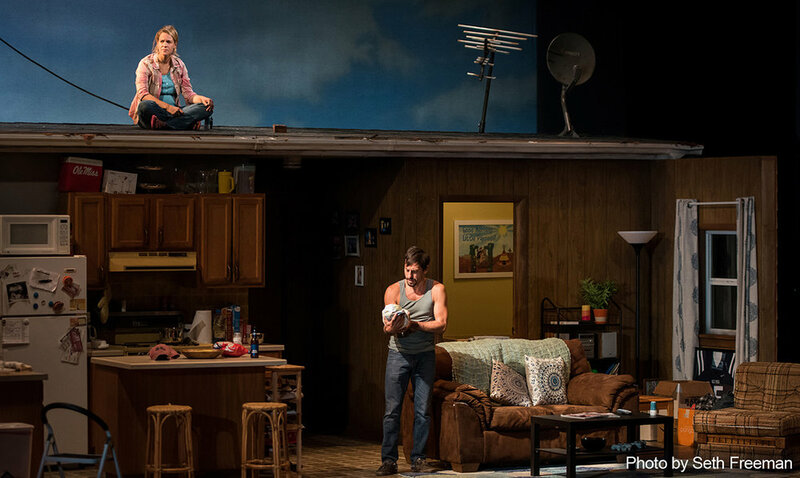 "Set Designer David M. Barber’s wonderful panoramic set with sky, telephone pole, and rustic interior captures the world’s absence of material comfort, as well as its absence of natural beauty." "Linder animates the text with purpose. Everything the characters say and do is significant. 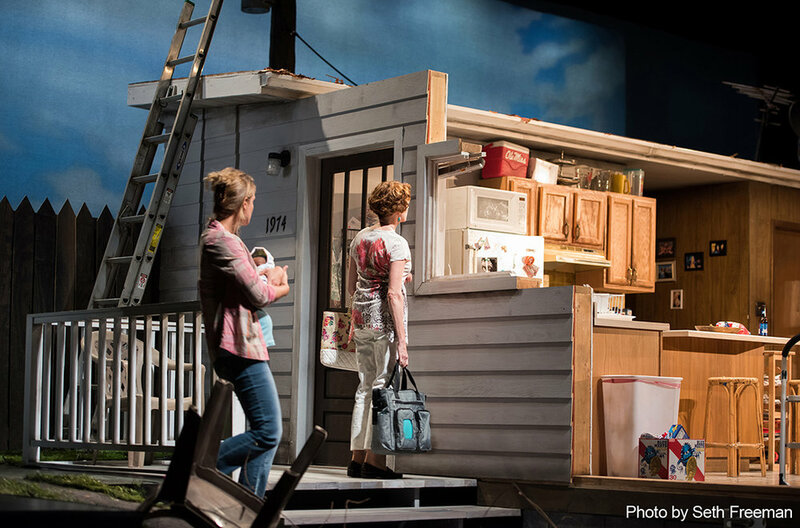 Even the set (which David M. Barber designed) is fraught with meaning.